Folding Mini LED Desk Lamp Just $0.92 PLUS FREE Shipping! You are here: Home / Great Deals / Amazon Deals / Folding Mini LED Desk Lamp Just $0.92 PLUS FREE Shipping! 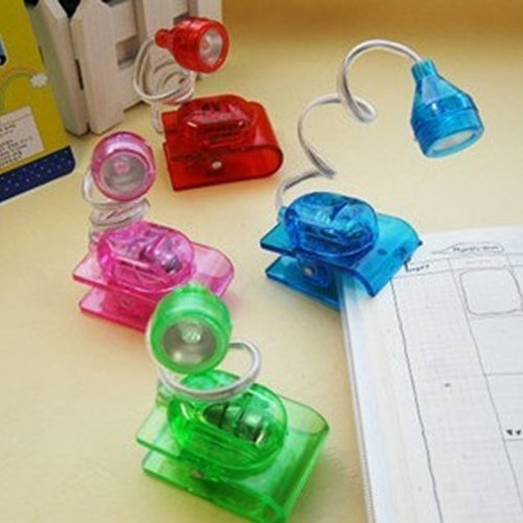 How fun are these cute mini reading lamps?! You can get a Folding Mini LED Desk Lamp for just $0.92 PLUS FREE shipping! Perfect for highlighting a book if reading in an area with limited lighting. Easily folds to compact position for storage or can be put in a handbag or pocket. Special lens spreads light evenly with no hot spot. Flexible arm, adjustable light head.